Titanic | The Bloxwich Telegraph – incorporating The Bloxidge Tallygraph and Walsall North News. Founded 2006. 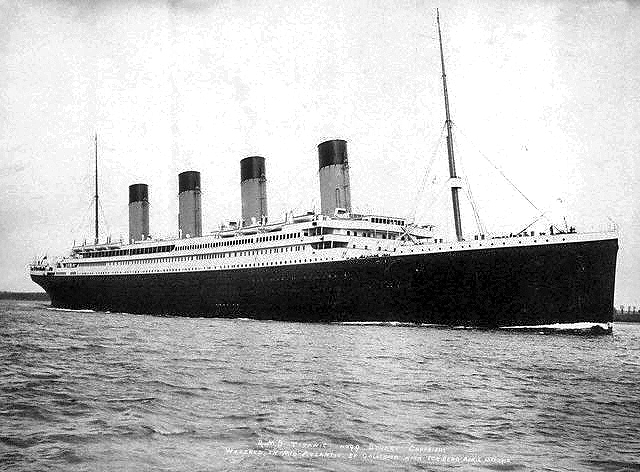 Titanic anniversary event in Bloxwich – with cake too! The Stan Ball Centre will be commemorating the 100th Anniversary of the sinking of the legendary ocean liner RMS Titanic with a special exhibition day which will be open to the public, families and any groups who might like to come along. The event takes place at the centre in Abbotts Street, Bloxwich, on Friday 13th April from 10am until 4pm. Local artists Christine Bunn, Ian Edwards, Ann Hackett and Jason and Brenda Jenkins who all exhibit and sell their work at The Stan Ball Centre are preparing special pieces of Titanic related work, as are the centre’s sugarcraft and art students. Artist Ian Edwards, who inspired the idea for the day, will also be showing some vintage 1911 cinema reel film of Titanic. Young people from the Elmore Row Centre, Bloxwich-based Electric Palace Foundation Learning Group, will be contributing with Titanic based song and drama. Also available on the day are a limited number of free art lessons between 1 and 3pm with one of the featured artists, Brenda Jenkins. The sessions will be issued on a first come first served basis. Admission to the event is free and the Stan Ball Centre Cafe will be serving Titanic themed lunches and cakes. Anyone able to set up a display table should arrive from 8.30am or ring Karen Smith on 01922 403351 to pre-book the space.